Across the country, you’ve likely seen more high end luxury cars on the roadway. Manufacturers are building more high priced gas powered/hybrid perforance cars and the race is on for electric powered vehicles. You’ll be surprised at the performance and features of the new releases this year. Check out the videos below. 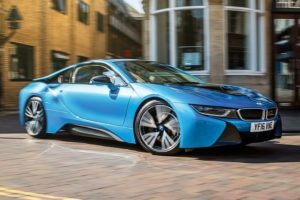 With luxury car buyers anticipating upcoming releases of expensive luxury cars including the Porsche Mission e EV, we might also want to review auto insurance for them. Will repairs be more costly? Are they heavier and more stable in snow/ice conditions? The demand for luxury vehicle insurance (called luxury car insurance) has grown substantially. Porsche, Lamborghini, Ferari, BMW, Audi, Mercedes Benz, Bently, Rolls Royce, and other brands are producing some very interesting new electric luxury cars. That means owners may need review their auto insurance coverage. Not all insurance companies are interested in providing policies for high end, luxury classic collector, or high value automobiles. Expensive cars however do represent a unique seet of liabilties and unique auto insurance coverage. Your Porsche, Mercedes Benz, BMW, Maserati, Bentley, Lamborghini, Ferari, Rolls Royce, or Jaguar is not just another vehicle. Insurance specialty coverage gives you the peace of mind that your luxury vehicle is fully covered and that your policy will meet your needs and claims if you’ve involved in an accident. You’ll need to search for that and I have a short list of top luxury auto insurance brokers below. It seems like a new electric luxury model is being released every month. Attention is moving away from Tesla to new group of electric car manufacturers. 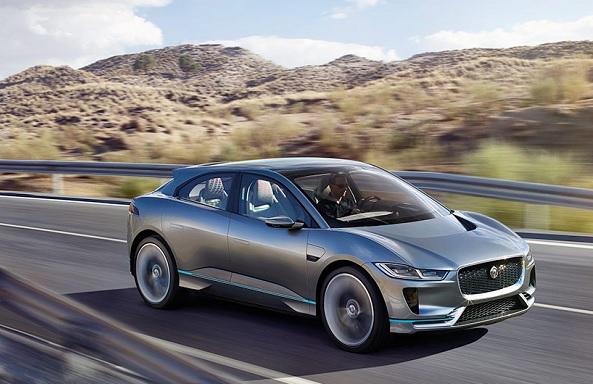 Below is Jaguar’s new concept car called the I Pace SUV. Photo courtesy of Jaguar Canada. And how about this beauty Luxury EV from Lucid Motors? 240 mile range with 400 HP! Fisker Electric Vehicle – 400 mile range and 161 mph. Tesla Model S P90D – a 270 mile range for $118,000. The Tesla Roadster – 600 mile range and founders series pricing at $250,000. Listed below are some of the best high value, luxury car insurance carriers specializing in in luxury cars and high priced vintage and classic cars. These companies understand expensive automobiles and their owners and provide policies more suitable to their needs. If you’ve read this post on which cars are most expensive to insure, you know that a cars price tag doesn’t always mean more pricey insurance rates. And when you shop around specifically for car insurance for luxury automobiles, you’ll eventually find those insurers who offer better rates. Even for luxury vehicles, it’s shop and save! In some states, provinces and jurisdictions there is a trend to limiting auto insurance coverage. In Vancouver BC for instance, the BC government has dropped coverage for luxury cars. They stated that regular car insurance buyers were subsidizing the more costly car’s protection. It’s left a lot of wealthy Vancouver drivers looking for coverage for their high value automobile, and they’re switching to Alberta for their policies. The fact is, that many luxury cars don’t get driven much. They are low use, special ocassion vehicles and when usage based telematics devices are used, the luxury car driver can prove the car is being driven safely and infrequently. It’s factors like these that should help avoid the disappearance of luxury car insurance. Do You Think the Mercedes GT Roadster is Looking more like a Porsche? Here’s Forbes look at the best luxury cars arrving in 2018. How much is auto insurance for the top mid-range priced luxury cars? Cheap insurance is often not a priority among luxury car owners who need customized coverage for their Porsche, Mercedes Benz, BMW, Maserati, Bentley, Lamborghini, Ferari, Rolls Royce, or Jaguar. The key is to ensure the value of the car is protected. High end luxury cars are a big investment even for wealthy owners. Inquiry about luxury car insurance in Los Angeles, Phoenix, Vancouver, Seattle, New York, Miami, Dallas, Houston, San Diego, Toronto, San Francisco Bay Area, and Chicago. Find the lowest insurance rates in your city: LA auto insurance, Boston auto insurance, Phoenix car insurance, San Francisco car insurance, San Diego boat insurance, Seattle truck insurance, New York car insurance, Indianapolis SUV insurance, Detroit SUV insurance, Indianapolis Car Insurance Quote online, Toronto car insurance quote, or Chicago car insurance.